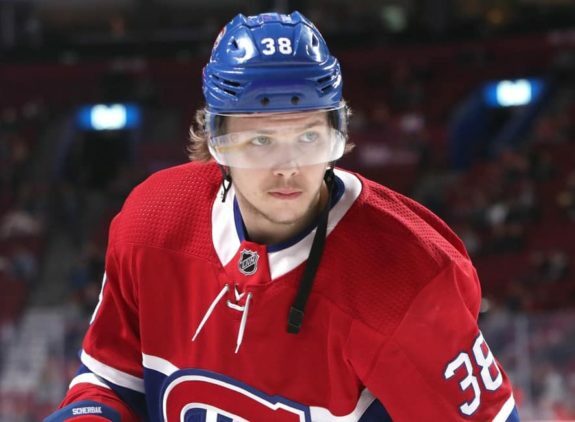 Former Montreal Canadiens first-round pick Nikita Scherbak is finally starting to deliver. He has fewer games and points than other 2014 first-rounders, and some lower-rounders too, but he is definitely improving and getting more and more minutes and experience. Considering his age, his seniority and the state of the Canadiens of late, Scherbak is having a unique opportunity to finally become a full-time NHL player. So far, Nikita Scherbak has skated in 21 NHL regular-season games, with four goals and two assists. Not long ago, on March 13 against the Dallas Stars, he scored probably his best goal so far — after he intercepted a pass attempt by Stephen Johns at the Stars’ blue line, the Russian used his speed and soft hands to work his way past Dan Hamhuis before beating Kari Lehtonen for his third of the season. Scherbak isn’t new to highlight-reel goals, and surely more will come if he keeps on exhibiting strong play like what he has shown of late. 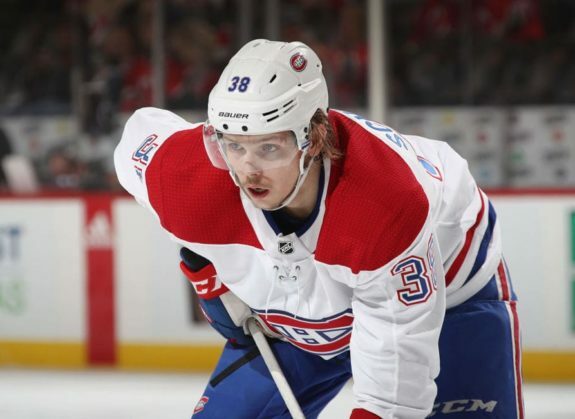 In this translated interview, originally appearing on the popular Russian website Sport Express, Scherbak talked about the games between Montreal and Toronto, his current season, and the French language. Andrei Sery: Usually there is great excitement during the games between Montreal and Toronto. Did you feel that? Nikita Scherbak: Of course! It’s a derby! Hockey Night in Canada! This already means a lot. The best game, the best atmosphere you can feel and dream about. AS: Is it hard to play with such atmosphere? NS: We play at such a high level that you get used to everything. When Toronto gets to Montreal, it’s the same, just the same atmosphere at the arena. A lot of fans on the stands, the arena is always packed. AS: How much did you get used to it this season? NS: It has been easier when I started playing more games with the team and fly to away games. I feel more confident. AS: Can you explain to us what was so hard? NS: Probably the hardest part was dealing with my injury. I (was) called up to the main team and I got my knee injured. I was playing well, and I had good chances to win a spot on the roster. But then the injury complicated things up. It was hard to get back and (play) the same kind of hockey. AS: What are the differences between the NHL and the AHL? NS: The skills level of the players: [In the NHL] each pass is right on your blade. If you give a bad pass, you’re gonna get benched. [In the AHL] there is a lot of battling for the puck, players just dump the puck in and everyone runs behind it. In the NHL there are more skills, teams try to play in a more organized hockey. (On) the farm team, it’s a more physical game. AS: Canadiens head coach Claude Julien said that he expects you to be more consistent. Did he give you more concrete tasks on ice? NS: When I make mistakes, he tries to show me them, and he encourages me when I play well. He is right when he says that the most important thing is being consistent. I played a good game, and then a bad one, and that’s not the way it should be. AS: How do you like living in Montreal? NS: It’s a beautiful city, a lot of people (speak) in French. The fans do love hockey a lot. AS: Do you (speak) French? NS: A little bit. I (spoke) it much more earlier on; I studied (at) a French school. But I forgot everything when I started studying English.